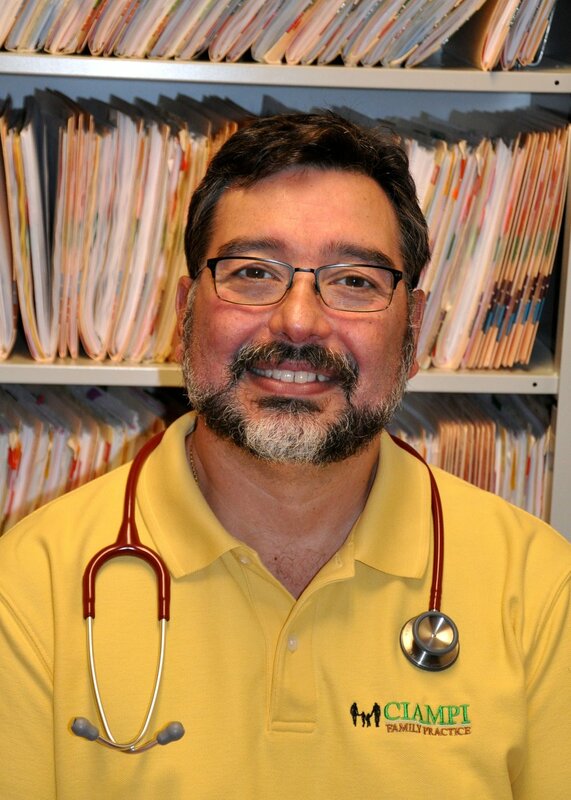 Dr Michael Ciampi is a native of Portland, Maine. He is a graduate of Cheverus High School. He earned degrees from The College of the Holy Cross in Worcester, MA, and Tufts University School of Medicine in Boston. He completed internship and residency at the Naval Hospital in Pensacola,Florida. After having served in the U.S. Navy for seven years, he had attained the rank of lieutenant commander prior to his honorable discharge and return to his home state to take over the practice of his father, Louis Ciampi, M.D. upon his retirement. Being frustrated with what he saw as a dysfunctional health care finance system, in April 2013, he took what many considered a very radical step when his practice opted out of third party payments, including commercial insurance, Medicare, and Medicaid. Instead of billing insurance, he now contracts with his patients directly. He is an advocate of the Direct Primary Care model which is gaining in popularity with doctors and patients alike across the country. This novel approach to health care garnered the attention of local and regional television and radio shows. He has been featured on Fox News Channel shows such as Huckabee and Fox and Friends, Fox Business Channel's Varney and Company, as well as CNN. Dr. Ciampi is very happily married to a woman far too good for him. They have four wonderful children and one beautiful granddaughter. Kara is a native of Eugene, Oregon, but relocated to Maine with Michael in 1999. She is a "Jane of all Trades," and was a driving force in the opening of Ciampi Family Practice. Upon seeing her husband work tirelessly and not being able to give his patients the time and care he felt they needed and deserved she declared it was time for a change. Kara is determined that people should be able to access and afford quality healthcare, especially preventative care and health maintenance. When it became impossible for patients to get the care they needed through traditional means she jumped onboard the DPC wagon and CPF was transitioned into what it is today. While having a background and schooling in nursing her primary role in the office is behind the scenes, taking care of the administrative aspects of owning and operating a small business. In her off-time she enjoys spending time with her family, hiking, camping, and dragging her husband to the pool to swim countless laps. While her hours in the office vary secondary to family needs, she is readily available by email (kara@ciampimail.com) and phone. Anne joined Ciampi Family Practice when it was just an egg. Her role, job responsibilities, and hours have changed many times over the years but she has only grown with each and every turn. She has become an integral and vital part of the practice over the last several years. Anne is the face of CFP. She has immeasurable patience and kindness, as well as a desire to care for each and every patient that comes through the door. Anne can do anything and everything in the office and spends most of her time triaging and performing hands-on medical tasks. Anne has two beautiful daughters and two equally incredible granddaughters. She lives in Southern Maine with her husband Steve. In her off-time, Anne is committed to living a healthy lifestyle and encouraging those around her to do the same. Ciampi Family Practice would be lost without her! Chet is a floppy eared bunny who adopted us years ago. 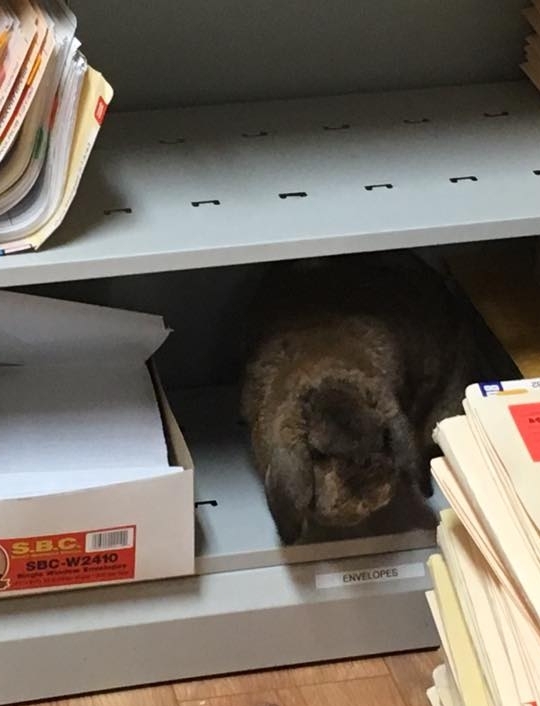 He is a fantastic office mascot. He primarily enjoys eating parsley and carrots (and the occasional unsupervised paper chart). His specialty is cheering up a kiddo getting shots. He goes between the house and office as he pleases, bringing surprise and joy to the patients he encounters on his adventures.